Injini Child Development Game by NC Soft, $29.99 is a 12 in one app encouraging independent play yet educational specifically designed for children with Autism, cerebral palsy, Down Syndrome, and other developmental disabilities. There is a free lite version Injini: Child Development Game Suite Lite introducing 8 games and 3 levels for children to try. The full version can keep a child busy for hours as each game is not only entertaining but challenging and beautifully displayed. Each game is specifically geared to a different area of fine motor delays, cognitive learning, spatial awareness, crossing the midline, memory and visual processing and understanding cause and effect. When the child begins you have an option in your settings to have 4 or 12 games in your layout, a male or female voice, a pause button, a 3-2-1 button and sight words in upper or lowercase. The games include the following: Note each game has an option for a tutorial before playing. Frog: The goal is to draw a line from the frogs mouth to the butterfly- great visual discrimination and fine motor. Letters: Using puzzle pieces the child needs to build the letter- then they are presented with the sound and a picture with the letter. Many people say this app is expensive- where else do you find all of these quality activities in one app? It also is one app that meets so many needs it is truly a gem! IEP Goals: The student will correctly print :number of the 26 printed upper case letters of the alphabet. It can not be possible that Bitsboard- Education, Games and Flashcards and more for Learning, Reading, Spelling and more can be FREE by Grasshopper Apps. If you have a child with Autism, on the spectrum or a developmental disability this is more than a must have- it is a must download NOW! So you must be wondering why! As always first go to your settings. There is an option to log in with Facebook. It is to back up your “boards” and get access to thousands of other boards people have created. If you do use it, it will track the students’s progress and create lesson plans for the individual student- that is pretty nice when talking about differentiating instruction. It is not a must do but an option. 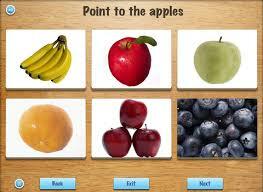 Next choose what you would like to do Flashcards, photo touch, true false, match up and more. Then choose the amount of items you would like to work with like match up has a minimum or 3 and a maximum of 6 matches. The interface is clean and easy to use. You choose the topic and subject/game you want to use with your student or add your own board if you need something that is not there. If you need to download a board that is in the catalog you need to be in a place where you have wi-fi. All of the boards in the catalogue are cloud based. You put in your search and if there is a board for your topic you are ready to go. I decided to try to find a board on the human body. I immediately found a board that was perfect for my class. Next, I set my minimum images for 5 and my maximum for 10. Then I chose to play photo touch. In a matter of seconds a non-computerized voice came on with 6 pictures asking for an arm. I touched the arm and got a simple green check. When I was wrong I got a red x and the picture disappeared allowing me more opportunities to get the correct answer . Out of curiosity I went to the true or false. I was presented with a picture of an arm and the voice asked for foot. I had to touch the red x because it was false. True and false is always difficult to teach but with Bitsboard it gives you a creative way to teach this abstract concept. The beauty of the board is it allows you to pick a topic that is part of your curriculum. Within the board you have 8 different ways to help the child learn the information through both guided practice and differentiation. As for making your own board you simply press new board give it a title and begin to add photos. I think I know what I am doing this summer- making a lot of Bitsboards. Using this app you can meet many of the Common Core Standards in elementary school and IEP goals based upon the child and their particular goals. As I said this is a MUST HAVE app. You will not regret the download. I put this app under the Autism section because of its flexibility to limit the number of clocks and it has the least amount of distractions. Photo Touch- Telling Time is one of many apps by Grasshopper apps. It is only $.99 and offers a lot of flexibili ty. As in all apps you should always go to your settings first to make sure the app is set up for your child or student. In this app you can have a minimum of 3 clocks at time and 10 items is your maximum. If your child is sensitive to noise you can edit sounds or delete them. If your child is soothed by hearing your voice there is the option to edit your voice in custom sounds. Simply press the + sign and add whatever sounds you think your child will like. Next, there is a library of analog times from a full hour, half hour, quarter past and quarter to. If your child masters this you can turn on minutes in increments of 5 minutes. There is a debate if children really need to know analog clocks anymore. In many mainstream places such as schools we still use an analog clock. It is a great way to help students count by 5’s not only in time but with money and in cooking. The goal is to encourage daily life skills and telling time is one we need to know not just in school but in almost every aspect of our lives. In my class many of my students like this app because it is not overwhelming. We start with 3 clocks and gradually move up to 5-6 clocks. The students like when I add a edited comment because it feels more persona. Telling time is a Common Core Standard in Math for first and second grader. IEP Goal: Student will tell time to the hour. I would recommend this to parents and teachers who are following school curriculum and looking for ways to teach core subject in a clear and succinct manner. Did you ever wish you had a place to keep all of your information about your child or student in? Yes, there are great note taking apps but wouldn’t you want something specific that understands the needs of your Autistic child. My Autism Day by Little App Helpers, $1.99 is an all in one app. If you are a teacher you can add information to Keeping Track of…. it is a great place to also keep school ID number, emergency numbers, etc. Everyday you have a place for a daily log entry. As a teacher I can use this as a communication book with a parent. I can tell them how their child did for the day and any specific items the child may need for the following day. Next, are the activities the child participated in everyday. It is a good place to keep ideas and thoughts that you may hear from your friends or colleagues. Then you have the child’s goals. If your are a teacher you can track your student’s IEP goals here. If you are a parent the goals may be different but it is also a good place to keep everything in order. The Health section is next and one of the most important if you are using medication or different therapies. You have one place where you track check-ups, medications, and therapies. If you plan to send your child to an after-school program or summer program the care givers section allows you to share information in one place. FInally you can chart the behaviors such as eye contact or other behaviors you are working on. Analysis is the last section. It lets you see all of your nots in this section. I know this is something I find useful when tracking a few students. It is particularly important when I note a behavior change that is unusual. I find this app to be a real life saver when tracking 4 or 5 students who I want to give clear and concise reports to their parents. I am going to try using this app with all of my students and modify as needed so I can have all my information at my fingertips. Autism Apps Free/ Reduced for Autism Awareness! 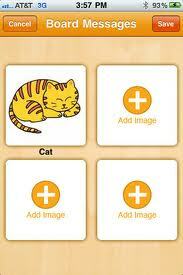 Sequences for Autism- by Club LIA – FREE This is a basic sequencing app for children. The child is presented with an everyday scene from self-help skills, home activities and school activities. The goal is for the child to place the correct scene sequentially . If the child needs to have the story piece read he touches the piece and it enlarges to fill the size of the iPad and the sentence is read to the child. You have the ability to create your own sequences. I would recommend this app for elementary age children who are beginning daily routines. My Autism Day by My Little App Helpers- Free- This will be free for one week. This app is for the parent, caretaker, or teacher who want to track their child’s day. For each child you put in a goal and a date with notes. Next enter the activities to achieve the goal you want to achieve. You can enter the activities you will use and the caretakers involved. As time goes on you can chart the behaviors and analyze the progress. This is a great way to track your child or student with specific goals based on parent needs and IEP goals. Abacus in Augmented Reality by@Reks Free Here is the virtual abacus that helps children review basic number systems. Introducing adding take away and other basic math facts using a visual and kinesthetic approach. IEP Goal: Student will be able to sequence 3-5 cards in correct order. What does silly mean? For many children with Autism the abstract term needs to be taught with apps such as Is that Silly? by Smarty Ears for $9.99. 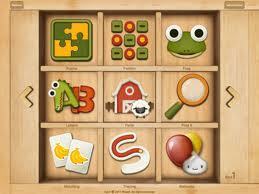 With this app children take turns, increase their attention to detail and develop their language skills. First, set your settings from sounds you want to a daily report card. Once again here is an app that gives you data collection for you to see how your child or student is progressing. Now, let’s get ready to play! There are over 120 pictures for students to look at and determine if they are silly or not. If students are playing in a group you can use a timer. If the child is alone a therapist can work with the child’s language skills both expressive and pragmatic, which are both important for daily living skills. An example of silly may be “People sit on animals in the office”- silly or not? If you want to see the words you can add them in the settings. To enhance expressive language student’s are asked “Do you know what is silly about this picture?” A picture that is not silly is ” He pays for groceries with a credit card”. If a child is struggling with a concept there is the ability to skip over the picture rather that frustrating the student. I would like to see a bit more interaction in the pictures to increase either laugher when something is silly. If it is not silly it would be nice for the student to record why it is not silly to have the student hear themselves when they express their ideas. Otherwise, it meets the difficult criteria of working with the abstract concept while increasing visual and auditory discrimination, increasing expressive language by answering “wh” questions and increasing receptive language. IEP Goal: Student will be able to answer _ of “wh” questions.